Renovation contractor insurance is a must if you are a general contractor working on residential and commercial properties. As a Renovation contractor, it is extremely important to protect your business by obtaining renovation contractor insurance. With this type of insurance (Insurance for renovation contractors), you will be able to fulfill the customer’s needs, without worrying so much about potential accidents and losing your business as a result of being sued. We provide renovation contractors insurance (General liability insurance for renovation contractor) also known as home renovation contractor insurance across, Ontario, Canada. Renovations are intended to enhance your customer’s home in one way or another. Whether you’re repairing a single room or replacing their hard flooring, the goal is to enhance their home’s appearance, increase its value and extend its longevity. Unfortunately, a renovation could have disastrous results if you, the contractor, do not have renovation insurance. If a mistake is made or an accident occurs, your costly renovation could transform into costly damages. This is where the insurance for renovation contractor comes into the picture. With this renovation contractor insurance, you will be able to protect yourself from potential damages and lawsuits, which could arise. When attempting to obtain a liability insurance for renovation contractor quote, you will need to speak to a licensed broker to figure out precisely what coverages are provided under a contractor CGL policy. Generally, there are a handful of things that are covered by a renovation general liability insurance policy. For most renovation contractors, we provide a complete policy package that provides coverage for Commercial General Liability, Bodily Injury and Property Damage Liability, Products-Completed Operations, Personal Injury and Advertising Injury Liability, Medical Payments, Tenants’ Legal Liability, and Supplementary Non-Owned Automobile. It may be important to also obtain additional contractors insurance. The commercial general liability is a necessity, since it will protect your company from lawsuits from third party in the event you have caused property damage or injuries. How much renovation insurance coverage should I buy? No amount of insurance can ever be enough. A general renovation contractor operating out of a city like Hamilton or Mississauga must have an insurance policy that has a coverage of NO LESS THAN 2 MILLION in Ontario, Canada. If you are a reno contractor that is grossing over $100k a year, then you should explore options of getting a quote for 3 million or more! Finally, you should realize that a renovation project requires a lot of new materials. It is nearly impossible to repair lets say a roof without shingles to replace the old ones. Contractors-insurance.ca can provide you with coverage for your renovation tools and new materials as well. This type of coverage is generally additional, but it can provide you with added peace of mind and is generally well worth it. As a renovation contractor, it is imperative that you get Renovation Contractor Insurance today. Anything could go wrong and even the smallest error or mistake could lead to drastic damages and losses to your business. Rest assured knowing you’ve come to the right place. With our help, you will be able to learn how to apply for insurance & get the appropriate coverage for your renovation construction business so you can work with a peace of mind. 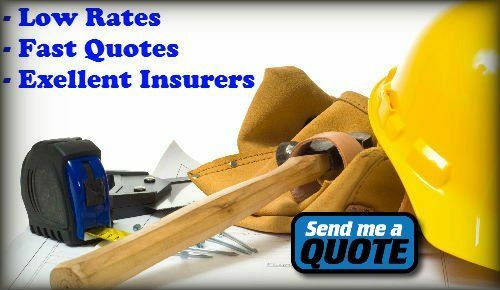 Be sure to contact our representatives right now to get a renovation contractor insurance quote!